When visiting Milan, there are a few things that no tourist ever wants to miss. As a place well known around the world for its beauty and history, there is no doubt that anyone visiting wants to get a taste of what makes this great city the design and fashion capital of the world. However, Milan isn’t just about exhibits and fashion shows and shopping – the night life in Milan is one of the best around the world. And if you’re a tourist visiting Milan, there is no doubt you’ll want to know what that is all about. 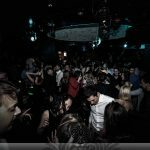 Located in Milan is a club that embodies everything about the VIP club life in Milan, 11 clubroom. 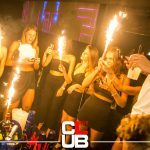 11 clubroom boasts itself to be the only truly and purely international club serving the people of Milan. With a warm yet diverse ambience allows for it to serve its customers in any way that they prefer – for private events, parties, corporate and elite and specialized events, and basically any situation where you want to be surrounded by fun people, good music, and an elegant setting. What makes 11 clubroom stand out is the amazing setting, the good music, and that over the years, they have carefully selected a prestigious clientele that they feel best represents 11 clubroom. 11 clubroom stands right in the center of Milan, just a few strides away from the vastly popular Corso Como. While the club is easy enough to find, you can always look up the exact address if you’re confused. 11 club room can be found at Via A. di Tocqueville, 11, at 20154, in Milan. When you book a VIP table at 11 clubroom, you get a lot of perks and privileges that help you create a memorable night you will be recounting for years to come. On request, you can easily gain information about the kinds of VIP table offered, along with some of the many benefits that come with making such a booking. You can also happen to choose the precise table that you will be using on the night in question. For one, you’ll have a designated host available to you throughout the course of the night, to make sure your every need is met properly. Aside from that, you also get personalized concierge, along with a perk that’ll make anyone feel like a VIP – the ability to skip the queue altogether and enter 11 clubroom without having to wait at all. As you book in advance for your VIP table, you can also take advantage of the bottle service through the night. By inquiring about the prices, you can learn about what will be available on your night, and your final bill will depend on what you order and how much you have of the drink. At 11 clubroom, the club wants you to be dressed to impress. Although the club reserves right of admission, to cross all their checklists, men should wear formal shirts and pants, and avoid vulgar or beachwear options. For women, revealing outfits are discouraged, while heels are encouraged.